Many companies - from those producing small cheap car-speakers and spekers for TVs make CoAx units. In theory it is quite simple - just use the center for some kind of HF driver and you have a "two in one" speaker. Cabasse has gone a step further and made a "three in one" speaker. French full-range and monstre subwoofers with electromagnetic motors. 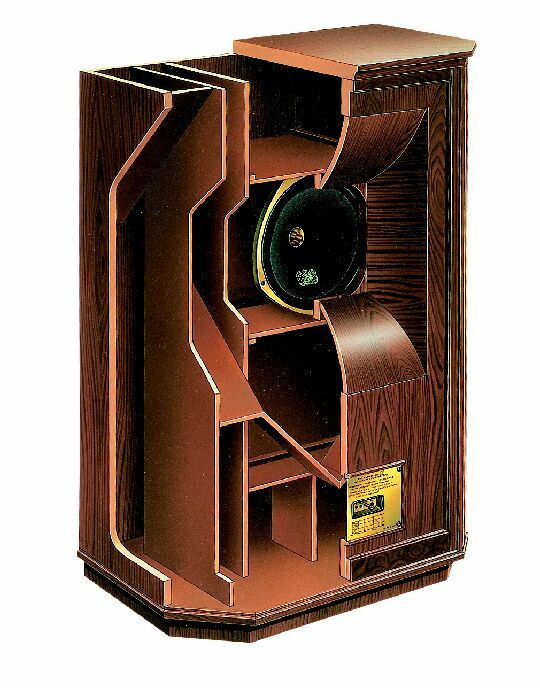 The Dual Concentric technology was first introduced by Tannoy in 1947. 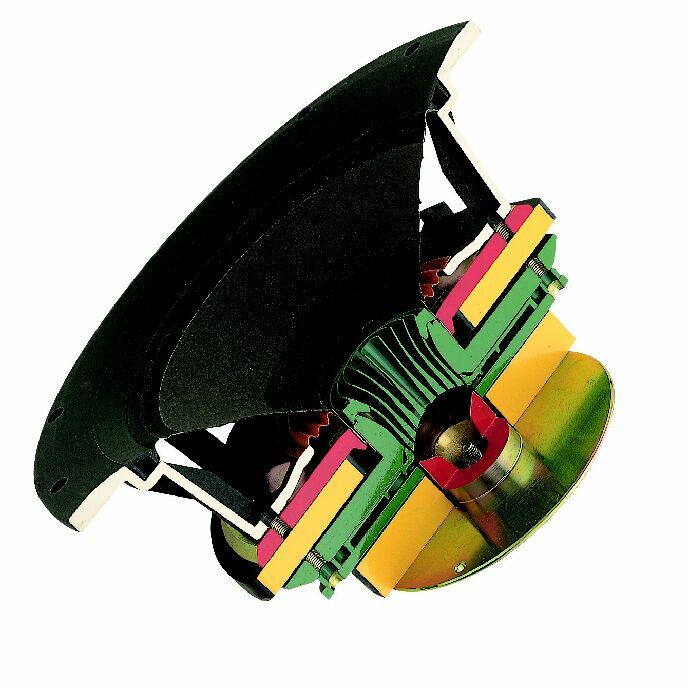 Continuous development since has ensured that this driver design has remained a key element in Tannoy loudspeakers. From high end audiophile ranges to professional equipment. As it can be seen from the drawing below the Dual Concentric differs from most other Coaxial designs. The 2142H, 2152H and 2155H coaxial transducers represent the results of JBL's intensive research into the performance and applications of coaxial transducers intended for engineered sound applications. To achieve maximum power handling while maintaining wide bandwidth and consistent dispersion in several critical HF octave bands, JBL engineers developed a new high-frequency dome tweeter, as well as new low-distortion Bi-Radial® horn designs. T17RE COAX/TVF, 6.5" A coaxial arrangement of T17RE woofer and a precoated fabric dome high frequency unit, based on the 25TFFN/G. The cone of the woofer acts as a horn loading for the tweeter, and the chassis of the dome unit represents the throat of this horn. Unlike most traditional coaxial loudspeakers, this arrangement has two advantages: The two drive units have identical acoustic centers, and their directivities in the crossover frequency region arepractically identical. Thus, it is possible to build a full range Hi Fi system with a symmetrical and stable radiation pattern combined with a smooth energy response. 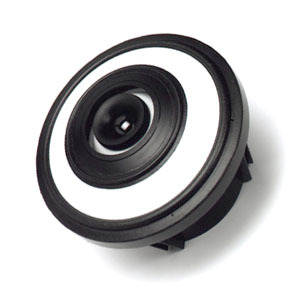 A compensation magnet and a shielding cup is mounted on the woofer magnet system to eliminate magnetic stray fields, hence the unit can be used very close to CRT`s in audio/video applications. 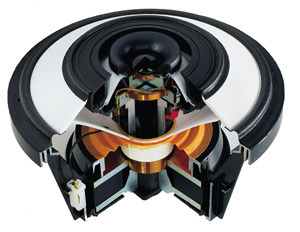 Among others the Finnish Gradient speakers use Seas Coaxial drivers in their systems.